Enjoy the top 11 famous quotes, sayings and quotations by Dana Schutz. That's when I feel really excited about a painting. When it starts to feel real, when it feels like it has a personality. The distinction between reality and fiction in America seems like it is becoming really blurry. 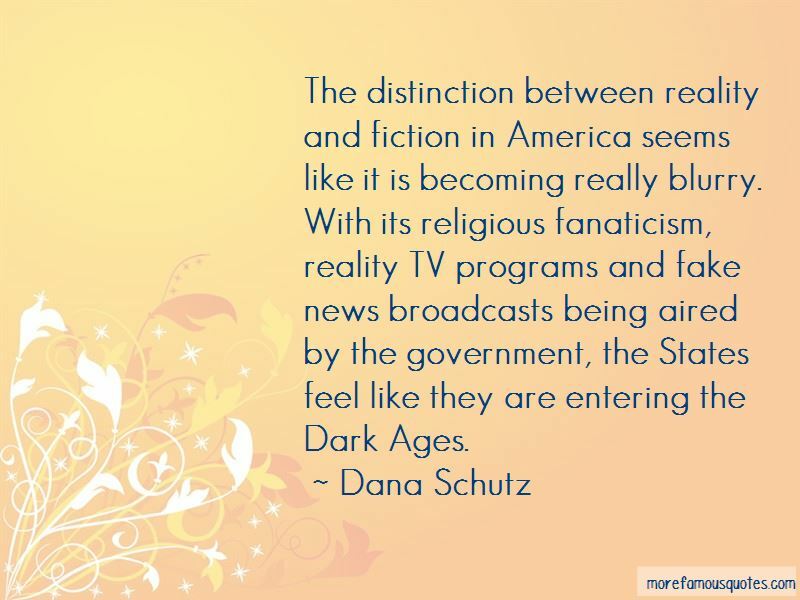 With its religious fanaticism, reality TV programs and fake news broadcasts being aired by the government, the States feel like they are entering the Dark Ages. I think that's just part of how it is with making art. Sometimes you're just flooded with ideas, and then other times you're questioning all the ideas you ever had before, and everything is just ... lame. My paintings are loosely based on meta narratives. The pictures float in and out of pictorial genres. Still life's become personified, portraits become events, and landscapes become constructions. I embrace the area between which the subject is composed and decomposing, formed and formless, inanimate and alive. 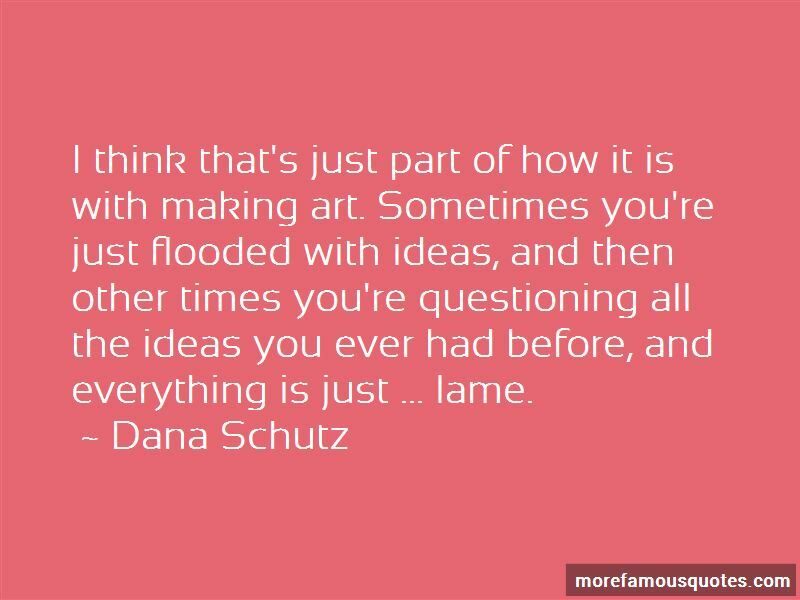 Want to see more pictures of Dana Schutz quotes? 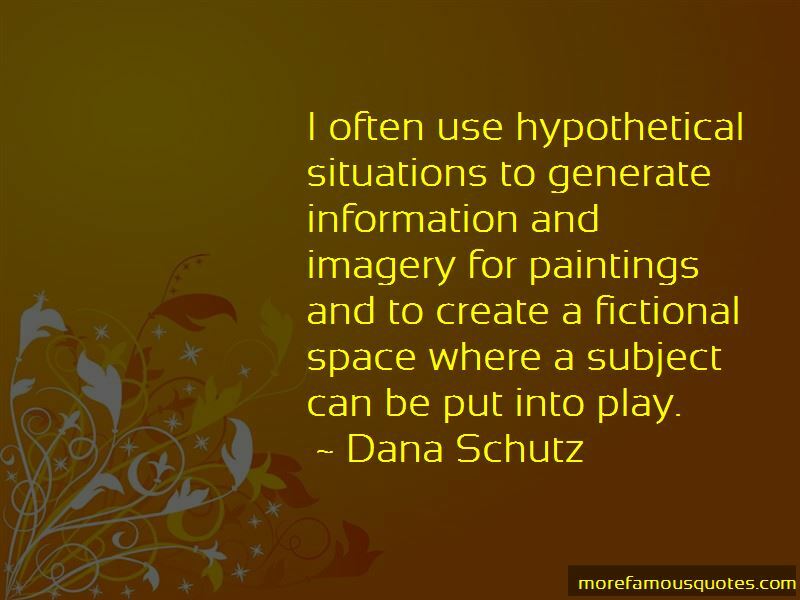 Click on image of Dana Schutz quotes to view full size.